2. Run through the sprinklers on the Magnolia Quad on a spring night. 4. Cheer on the Demon Deacons at a sports event you’ve never been to before. While you should definitely support our football and basketball teams, check out a field hockey match or indoor track meet, too! 5. Try every Zick’s menu item. While Zick’s is delicious any hour of the day, on the weekends Zick’s is open until 2 a.m. Zick’s and Subway are great ways to fuel up on your walk home after late nights of studying or engaging in plenty of other activities — apparently hydration and a 2 a.m. Ken & Barbie-Q flatbread pizza prevents hangovers! Plus, Zick’s has board games, air hockey, pool tables, good music and a fun staff that you’ll love to meet! 6. Find your volunteer niche. There are plenty of ways to celebrate Wake Forest’s Pro Humanitate spirit, like escorting young trick-or-treaters during Project Pumpkin, translating documents for refugees through SAFAR or picking up a shift at Campus Kitchen, so find a way to help that works for you! 7. Explore Reynolda Village. Venture just off campus to shop, eat, check out the beautiful gardens or clear your head with a run on the trails. You can’t beat the prices of Mei Wei, and the new crepe place is delicious! 8. See a sunrise and sunset from somewhere special on campus, like Davis field, a rooftop or the ZSR atrium. 9. Spend the night in the library with friends. When an all-nighter is inevitable, study together and take nap breaks in the ZieSta Room. Now’s the time to catch that sunrise! 10. Explore the diverse student centers in Benson, and see if one is right for you! They’re filled with awesome students and staff who make new Demon Deacons of any identity feel at home. 11. Make an effort to form lasting relationships with your professors. Invite them to get lunch with you in the Magnolia Room or swing by their office hours to continue class discussions. Get help with assignments and ask them about research, study abroad opportunities, other classes and even jobs! A professor who knows you personally and roots for you can connect you with some amazing opportunities. 12. Visit the Magnolia Room often enough for one of Wake Forest’s most popular staff members, Maria, to know your name. It’ll happen much faster than you’ll expect and she’ll always brighten your day! 13. Find hidden gems in the newly renovated gym, and try branching out from your usual run on the treadmill or arm day in the weight room. Play a pick-up game of basketball in the new Sutton Center, get connected with fun excursions through Outdoor Pursuits, attend fitness classes with friends, try out the rock wall, make your own essential oil blend in the Thrive office and wind down in the massage chairs or in the new hot tub. 14. Try every Cookout milkshake flavor. Make a late night run (or 46!) to North Carolina’s beloved fast food chain. And if you haven’t already, try Cheerwine, too! 15. Attend a performance by the campus comedy troupe, The Lilting Banshees. If their creative placement of posters around campus doesn’t grab your attention, the slideshows before their sketches and the dance parties between them definitely will! 16. Take a year-end trip to North Myrtle Beach with friends for Posties. Posties, short for “post-exams,” is most popular with upperclassmen but some underclassmen go, too, and it brings Wake Forest (and UVA) students to the beach in droves to celebrate the end of afinals week. The magic of posties is that it’s whatever you want it to be! It can be a relaxing beach trip or a crazy five-day party. Either way, it’s something you should experience at least once. 17. 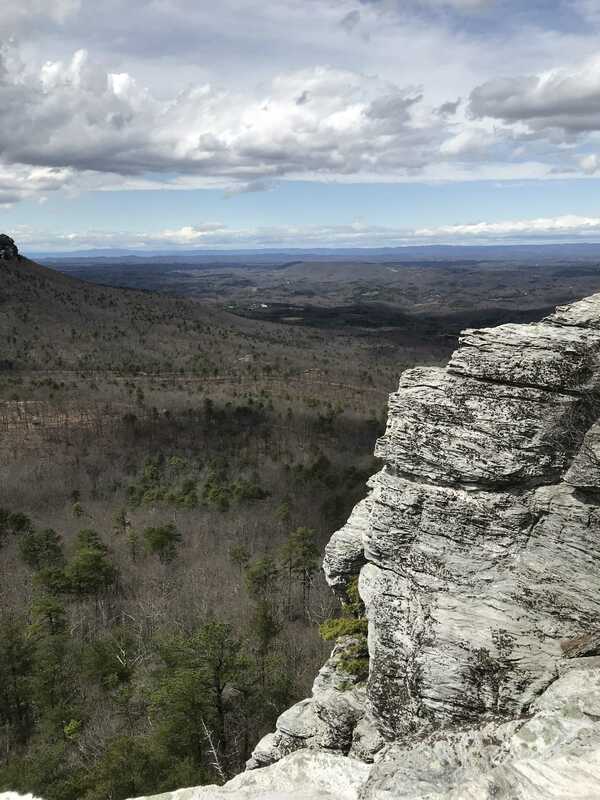 Hike all four waterfalls at Hanging Rock. Hiking is a great escape from the daily grind of Work Forest, and during the fall, Hanging Rock has regular events in its welcome center and a farmer’s market. 18. Complete a punch card for a free drink at Campus Grounds. Don’t wait until after your first year to discover one of the coziest spots on campus to read and study. Campus Grounds has awesome playlists and live music, student baristas and a unique and delicious coffee bar that supports local brands like Krankies Coffee, Camino bakery, Chad’s Chai and UpDog Kombucha. 19. Explore downtown Winston-Salem. Now that there’s a shuttle to the Wake Downtown Innovation Quarter satellite campus and new restaurants and breweries opening up right across the street, it’s easier than ever to get out of the Wake Forest bubble. Go to a Dash game, find your favorite coffee shop, see a movie at Aperture and check out Old Salem. 20. Finally, have your name published in the Old Gold & Black! You can be featured in our weekly Word on the Quad and regular Quad Fashion spreads, or you can sign up to write an article and join our staff! We might be biased, but we think that the OGB is one of the best groups on campus!